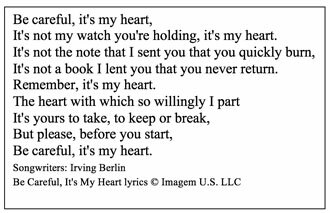 The Irving Berlin song, Be Careful, It’s My Heart, is how I’ve always looked at teaching. Parents loan their students to me for a specific period of time, and I have the opportunity to shape, mold, and grow their child’s thinking. At the same time, I can equally turn students off to learning. As I hear Bing Crosby’s voice in the 1942 movie, Holiday Inn, the resounding message plays – be careful, it’s my heart – my one chance to learn with you. In my work with students over the past two decades I have proven again and again that classroom relationships are the key to getting results with students. At times when I just knew something was amiss in a classroom – things weren’t “clicking,” it often boiled down to not taking enough time to build strong relationships. The content pressures got in my way of doing what I knew was best—relationship building. As I wrote in the blog, S.M.A.R.T. Start to a New Year, Hattie’s list of correlations rank strong student-teacher relationships ranging from an effect size of d=0.72 in 2009 and 2011 to d=0.52 in 2015. The takeaway is that strong relationships can create an atmosphere where students experience over one year’s amount of growth within one year’s time. Who wouldn’t want that? Build strong relationships by celebrating how students are alike and how they are diverse. Marzano, Pickering, & Pollock (2001) rank comparative analysis and/or identifying similarity and differences with an effect size of d=1.61. In our quest to build relationships, combine the processes used with comparative analysis to help students find and celebrate each other’s characteristics. Take the time to explore relationships within the class—shared backgrounds, history, community connections, passions, interests. Give students the opportunities to think comparatively with relational concepts and then transfer those same skills to content. Whole Body – try to do the class building activities on their feet. You can have line-ups, standing in a team, and all types of ways to do whole body movements as they find their similarities and differences. 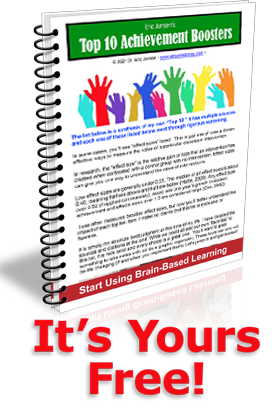 Quick Share – when you do the relational activities, include a quick share. Students can share with each other in pairs and teams but often share out for the whole class to hear. Make a Choice – during activities, give the students a chance to make a choice before they see what all of the other students are doing. If your goal is to celebrate how students are alike and different, then they need to make a choice prior to expressing themselves to their partner, team, or whole class. Transfer Skills – do relational activities that are skills or processes that you are going to use soon in class. If you are doing metaphors or symbolic language in your class, do a relational activity that uses metaphors. Remember, these are students’ one timeframe to grow and learn with you—do your best to create the kinds of relationships they will always remember! In my classes I used these relational activities and today I use them in my graduate classes. There are many places you can find examples. Feel free to contact me for some of my favorite ones or join the conversation and add your favorites, questions, or comments below! Marano, R. J., Pickering, D. J., & Pollock, J. E. (2001). Classroom Instruction that Works: Research-based strategies for increasing student achievement. Alexandria: Association for Supervision and Curriculum Development.